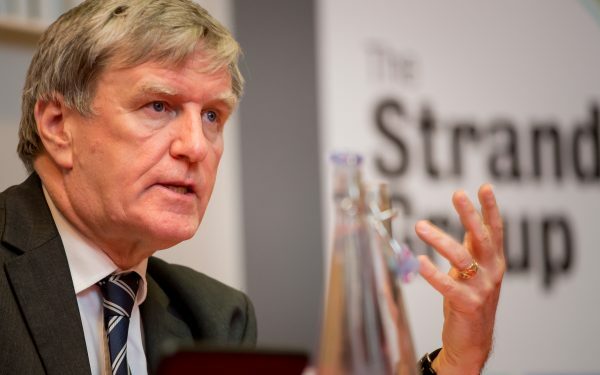 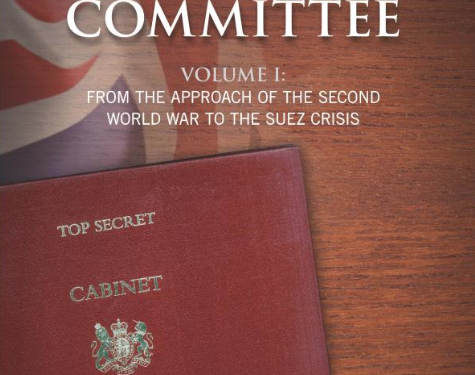 Daniel Mulhall, the Irish Ambassador to the UK spoke at the 12th event of the Strand Group on Wednesday 11 May 2016, where he set out the Irish case, as a concerned neighbour, of the impact of Britain leaving the European Union. 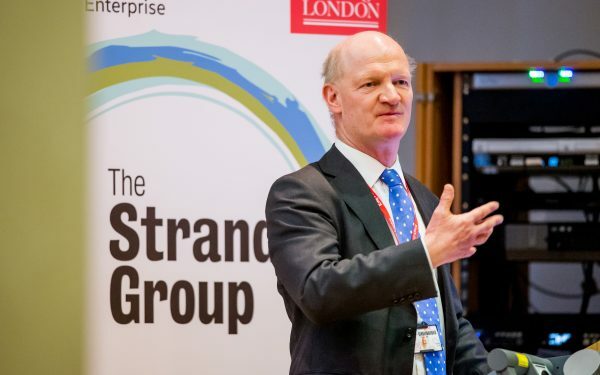 Lord Willetts the former Minister of State for Universities and Science gave his inaugural lecture on Thursday 28 April 2016, setting out 100 years of science policy. 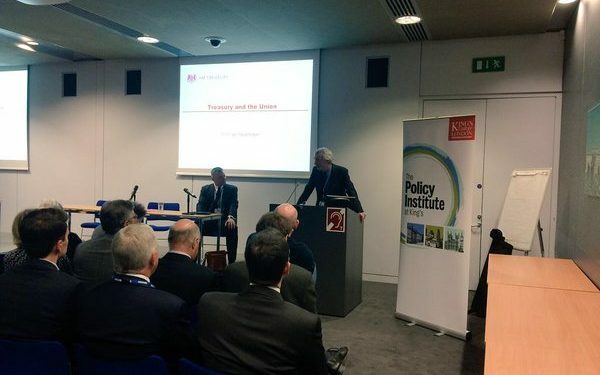 He was joined by the President of the Royal Society Sir Venkatraman Ramakrishnan. 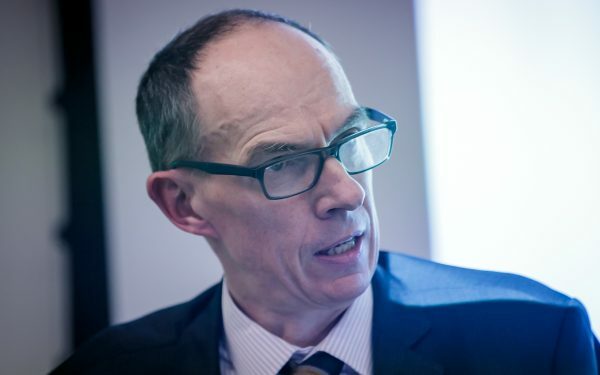 On 23rd February, the Chief of Defence Intelligence, Air Marshal Phil ‘Osby’ Osborn, spoke at the ninth event of the Strand Group. 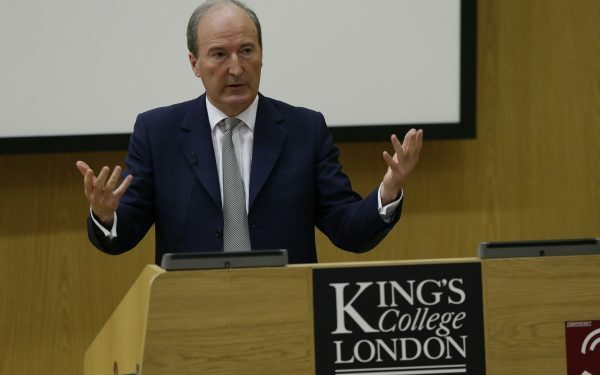 Charles Moore, former editor of the Daily Telegraph and the Spectator, celebrated the release of his new book, Margaret Thatcher - The Authorised Biography: Volume Two, Everything That She Wants, at King’s College London on Tuesday 20 October. 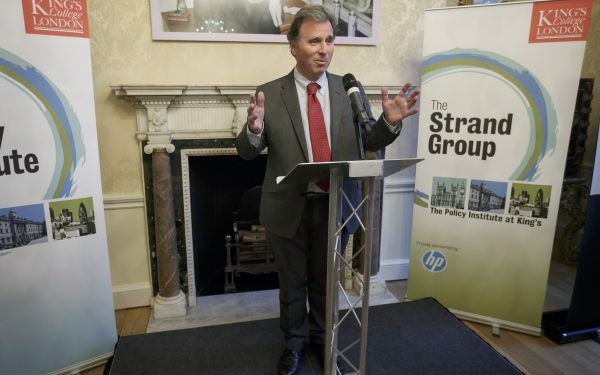 The Rt Hon Oliver Letwin MP spoke at a reception held in Downing Street to mark the launch of Margaret Thatcher and Number Ten, an exciting new contemporary history project produced The Strand Group. 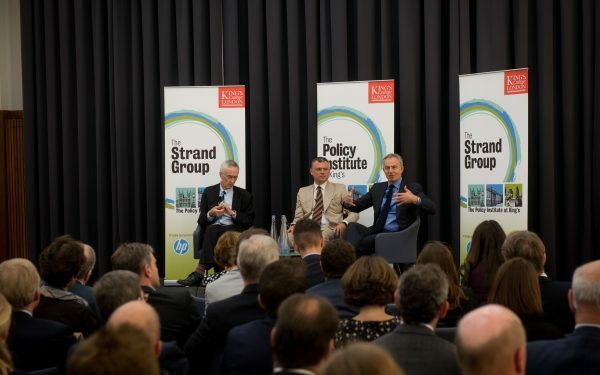 Former British Prime Minister Tony Blair joined Sir Michael Barber, at King’s College London to discuss how best to run a government. 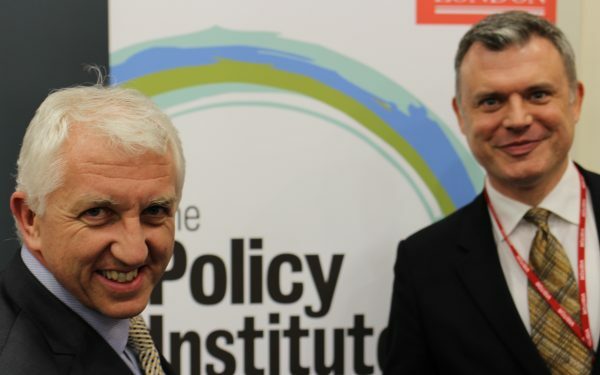 Sir Michael was the inaugural Head of the Downing Street Delivery unit in Tony Blair’s Government between 2001 and 2005.